Whether you are curious about driving an electric car or want to see if the driving experience lives up to its futuristic hype, there are several ways to rent a Tesla. You can rent one through affiliates of traditional rental car companies or through start-up firms that specialize in Tesla vehicles. Two traditional major rental car companies offer the opportunity to rent a Tesla: Enterprise, through its Exotics division, and Hertz, through its Dream Cars Collection. Note, however, that finding a Tesla at Hertz is more of a challenge than it had been in the past. Few Tesla vehicles have been available at Hertz since a recall a few years ago, although we did see a few of Hertz's used Teslas get sold through its Nashville office. Hertz offers a limited number of Teslas in its Dream Cars Collection. Given the lack of availability at Hertz, visiting the Enterprise Exotics website would be the most fruitful option. In addition, Turo has reportedly been willing to pay Tesla owners to list their vehicles on the site though the company doesn't specialize in Teslas. Other local companies, such as Tesloop in Southern California and WhiteCar in the U.K., offer the option to book a Tesla. Incidentally, Tesloop has served as a long-term test bed for Tesla, which had decided upon an eight-year, infinite mile warranty. Much of the Tesloop fleet travels between 17,000 and 20,000 miles per month, shuttling between various sites (either with a Tesloop employee driver or a renter driving). And while Tesloop has the highest-mileage Tesla vehicles on the planet, the company does offer the cheapest option to drive a Tesla vehicle on the Los Angeles to San Diego loop. How Much Does it Cost to Rent a Tesla? Renting a Tesla is not cheap. The less expensive of the two Teslas I drove had an MSRP of $108,000, so it's common to see rates over $200 per day, after taxes. Yet renters may find that the rental rate is only a part of an expensive drive. After all, with an MSRP over $100,000, neither my personal auto insurance nor my credit card rental car damage waiver—even the paid options from American Express—cover exotic vehicles or exceptionally expensive vehicles. In other words, you will likely need to purchase insurance coverage that you might ordinarily be able to waive with a less exotic car. If you're used to driving a traditional gas-fueled car, there are a few things to know about Teslas. For starters, almost all functions can controlled via the key fob or onboard panel. The vehicles are exemplary in the use of cutting-edge technology. 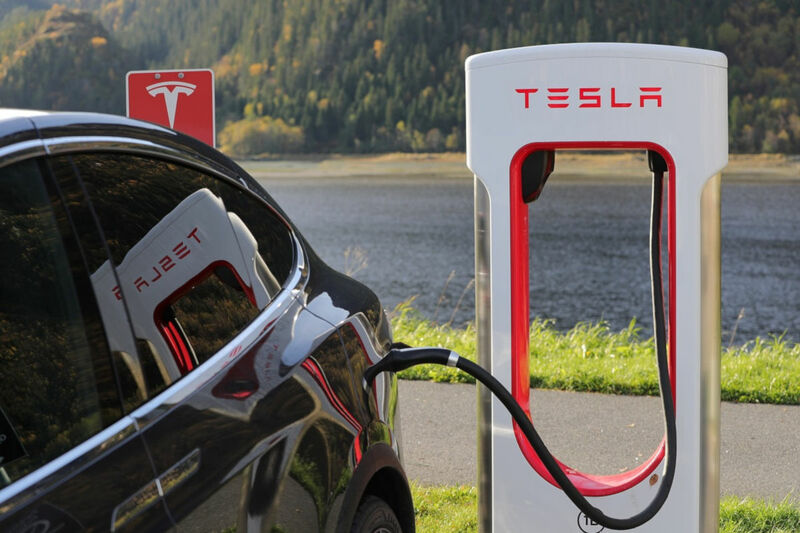 If you're planning to rent a Tesla for a long road trip, you need to plan where to recharge. During a recent trip in a Tesla, I needed to build in a projected 70 minutes for a full charge at the nearest Tesla Supercharger site. After all, it can take up to an hour to fully recharge the battery of an electric vehicle if you start on empty. Timing your charges to coincide with meals is a smart strategy. During a trip, the vehicle needs to be recharged to continue operation (and recharged before returning, otherwise the rental car company may impose a fee). In fact, some companies renting Teslas limit the number of vehicles on routes simply because of the waits at the limited number of Supercharger stations.